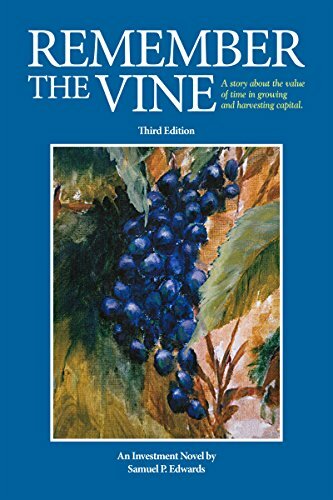 The original book of Remember the Vine was written in 1990. It’s not only a charming book, it spells out much of the investment thinking of the era. In 2016 the original book was added to for the purpose of presenting two different time frames to show how much investment thinking has improved in the last quarter century. It began with a verification of prior investment information, years and years of information. Gradually some theories were eliminated while others proved themselves to be essential. In time, a high-quality investment philosophy was created. Recently that philosophy was presented in seminar form. There are about twenty-five critical components built into the philosophy and detailed in the seminar. It is very likely that you have never seen most of these in print before. Among them are the following which are highlighted. Know the expenses of investing before you invest. Understand both sides of assets allocation. Seek out proprietary companies with sustainable revenue and cash flow growth. Keep your winners, sell your losers. Understand that fear creates opportunities……..and more. In the final analysis the purpose of the seminar is to combine a high quality tax efficient growth stock portfolio which will over time, increase $1,000,000 to $10,000,000 and exceed at least 85% of all investors. If you have any questions about this product by Spry Publishing LLC, contact us by completing and submitting the form below. If you are looking for a specif part number, please include it with your message.